Organize and de-clutter. Just like spring cleaning, this is the perfect opportunity to take a few hours out of the day to declutter your bedroom. It's seriously amazing the way you feel after throwing things away, bagging things for charity, etc. I know I can't be the only one whose bedroom looks like a war zone after the holidays... Wrapping paper, opened gifts, boxes; it feels like it's never ending! I always de-clutter then organize, and I use things like storage containers for my closet, new desk organizers and scarf hangers for scarves and even jeans. It really never fails to amaze me just how good a clean room feels! Get a new duvet and sheet set. There's nothing better than fresh, crisp sheets! Something about a brand new set is so refreshing. And a new patterned comforter/duvet cover can change the entire look and feel to a room. I love the way this sheet set feels and the pretty colors they come in. I almost always pick up a new set each time I go to Home Goods to have lots of spares! This floral duvet cover is on my list... I've been eyeing it and it's just too pretty to pass up! Add in new pops of color with new throw pillows. One of my favorite things to shop for are new throw pillows. I'm a complete pillow hoarder and I admit it! They can be pricey, so if you're not sure you'll love something or just don't want to spend a small fortune, you can easily go to the fabric store and find fabric you like to cover old pillows. I've done this and it's super easy to do and you'd be amazed at how inexpensive nice fabric can be! I love the tassels on this pillow and the ombre faux fur on this pillow (seriously, this is in my cart right now). Add new wall art. I'm in the midst of starting to create a legitimate office for myself (finally!) so I've been looking for new wall art. I always buy things I see and like - mostly in Home Goods - because I'm a decor hoarder, obvi. ;) Oliver Gal is one of my absolute favorite artists and my newest favorite print is this one that I ordered in the biggest size possible to be a center piece on my office wall. I *LOVE* it! You can try to mix abstract prints like this one too - I love the shimmery touches! Add a fun, unexpected piece. If you have the room, an unexpected but fun focal piece can make a huge difference and look super pretty. I absolutely *love* the idea of displaying a clothing rack in your bedroom with some of your favorite dresses/tops etc. on it! Again, if you have the room, it can be such a fun statement piece and a way to display your favorite wardrobe pieces. This version from Target is only $25 and it's on wheels! If you don't have the room for something like this, I love filling a pretty vase with flowers because it makes just as much of a statement (here's a less expensive version!). Mini bedroom makeovers can make a huge difference and make you feel *so* accomplished after spending time cleaning! There's such simple ways to change things up and the new year is the perfect excuse to get it going! These are great tips! :) Organizing your stuff differently really can make it feel like a whole new space! I'm loving the pop of color tip. We're looking to add a little more modern look into our bedroom and this would be perfect. These are all great ideas! Organizing can definitely make a world of difference! We just moved into a new house so it feels like we are giving every room a makeover! :) These are awesome tips to spruce up a bedroom, which I certainly need since it's the last one we are planning to decorate! Love these tips and the decor you linked! I've been doing little tweaks to my bedroom which I feel makes all the difference! Your room is very pretty! These are such great ideas! It's amazing what decluttering will do for a space, but I also love the idea of making a design statement with your storage, like that rolling rack! Love these tips! I definitely need to declutter and make my space more me in the new year! I love these tips! I always love ways to spruce up different rooms in the home! yessss you'd be surprised how much different a room looks just by organizing/decluttering! These are some great tips! I'm currently looking for some wall art for my bedroom! I'm ready to add more color into it. I love getting a new duvet cover! Such an inexpensive way to spruce up the bedroom. Great post! I'm in the process of making over my bedroom right now. I bought a new duvet and curtains. I refinished two tables and I'm looking for new wall art. I just started realizing I needed a sanctuary in there. It's crazy how much of a difference adding new pillows can make to a room! I bought a new one for my bedroom for winter and I love it. Those are nice ideas! I feel like my bedroom is a little too dull and it would be nice to add a few things to make it look more organized and pretty! I move a lot so repainting or doing any major changes is out of the question for me! 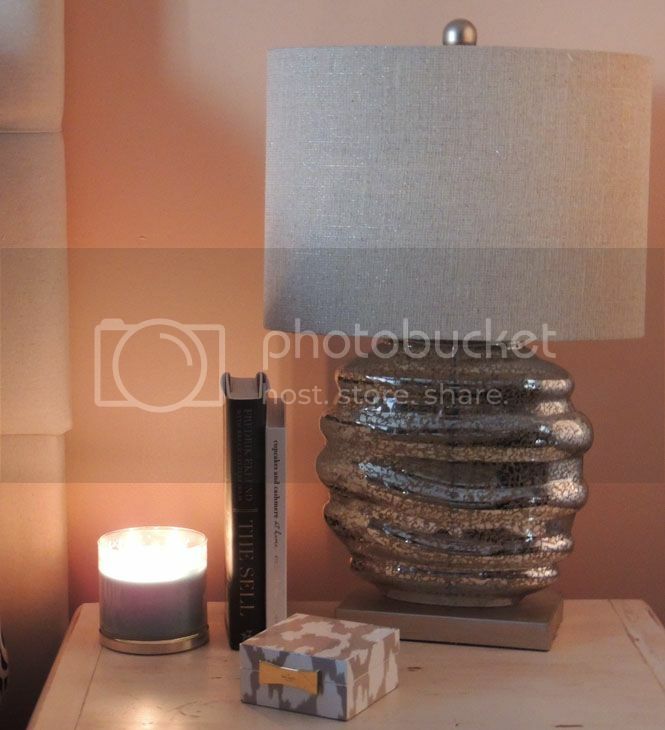 I love doing little edits to a room with decor! I love decluttering and redoing my room every new year too! Im glad I'm not the only one. This year I moved into a new house with my fiance so I was forced to declutter and minimize my stuff and start over fresh. It is really so satisfying having all of your spaces clean and tidy. Great tips! New throw pillows and wall art are my favorite ways to give a space a face-lift. Doing this to my living room as we speak! That duvet cover is really pretty! It's amazing how wonderful a fresh, clean room can make you feel. Thanks for all the inspo! Those stuff are so pretty! I will check this out! This is easy to tips to follow. Those pillows are really cozy! I totally love this idea! Awesome tips! I really love the neutrals you chose! keeps things nice and airy and fresh! I definitely love doing all of thee. When I'm tired of my room I definitely de-clutter it, and I'm always searching for new throw pillows to add! Great ideas! I love the pillows! Such cute ideas! We recently updated our bedroom with new bedding and a new headboard and it makes all the difference. SO many great tips and your space looks so fabulous!! Being a restless mom for 2 kids, I honestly need a huge makeover to my bedroom as well. These are some simple yet great ideas that will come so handy. I love adding wall arts or decals and have to complete change my bed & pillows as well. I try to practice some of these every so often - like adding new pops of color to replace pieces I got sick of. We're naturally minimalists, so decluttering happens pretty frequently, but I also have the tendency to make spaces seem cold and too stark. The duvet/bedding is SUCH a good one though! We recently updated our bedding and it feels so good. I'm also working on our home office! I hope you share the outcome! I love all of these ideas. Making small changes to your room can make a huge difference. I've done some decluttering over the past year and really did change the way my room looked. Sometimes moving things around and adding a few new pieces of decor can make you feel like you're living in a whole new space. Decluttering is seriously my favorite thing to do, basically whenever I can. Great tips for starting 2017 off fresh! Adding unexpected pops is ALWAYS fun. Also decluttering...a major necessity in my life!